We are ready to introduce our first products to the US poultry market and we need remarkable sales persons to help us do that. If you have experience in the US broiler, laying hen or turkey businesses, we would like to talk to you. We want self-starters with a network of contacts in the industry. We need you to have some sales experience in the industry. Also valuable would be experience managing others. You could be asked to travel anywhere in the US or simply a region. You can remain living where you are as you’ll fly to most destinations. Plan on traveling 60-70% of the time. 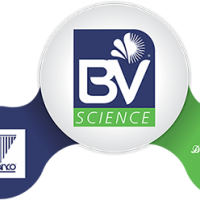 Send your resume & a letter about yourself to info@bvscience.com. Dr. Bata Ltd. © 2015 | Todos los Derechos Reservados.